As a result of the improvement in inpatient and critical care management over time, pancreatic surgery has become more feasible and is associated with less perioperative mortality. Unfortunately, postoperative complications continue to occur more frequently after pancreatic surgery than after operations for other surgical subspecialties. Seeking opportunities to improve perioperative morbidity following pancreatic resection, new minimally invasive strategies have been described and are becoming more widespread with time. 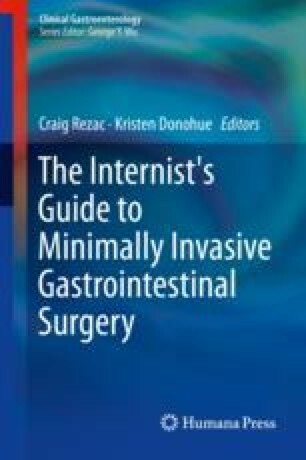 The following chapter reviews the indications and minimally invasive approaches for pancreatic resection as well as important postoperative considerations including complications that an internist caring for pancreatic surgery patients postoperatively needs to be prepared to manage. As with all surgical patients, postoperative management requires involvement of the surgeon who shares intraoperative findings to best interpret clinical changes in order to guide the discussion on management strategies. Minimally invasive pancreatic surgery remains within its infancy and will likely experience further development and expansion in the years to come.